We all have reason to feel a little safer. However, who would have guessed that despite the huge increase in prison population, prisoners have reason to as well? Bert Useem and Anne Piehl analyze the situation in The Weekly Standard. Crime rates peaked nationally in 1995 and have declined substantially over the last decade. In 1995, there were 684 violent crimes nationally per 100,000 residents; in 2006, there were 473. The much-publicized decline in New York City’s violent crime rate saw it go from 2,384 per 100,000 residents in 1995 to 638 in 2006. Los Angeles’s violent crime rate dropped from 2,405 to 787. Smaller cities show the same trend. Kansas City’s violent crime rate fell from 1,930 to 857. Even Detroit (despite its economic woes and population losses) had a slightly lower rate of violent crime in 2006 than 1995, 2,419 down from 2,699. One place has topped all of these impressive figures, yet it has received little publicity and no credit. This crime decline was quite unexpected even, indeed especially, by criminologists. The location we have in mind is U.S. prisons. 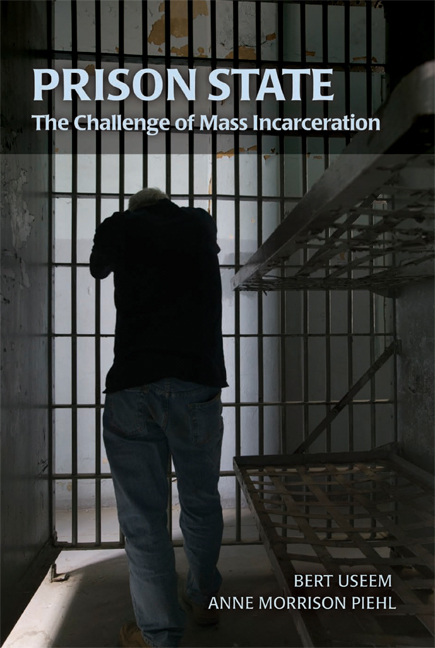 Between 1973 and 2003, the homicide rate in state prisons declined a staggering 94 percent.